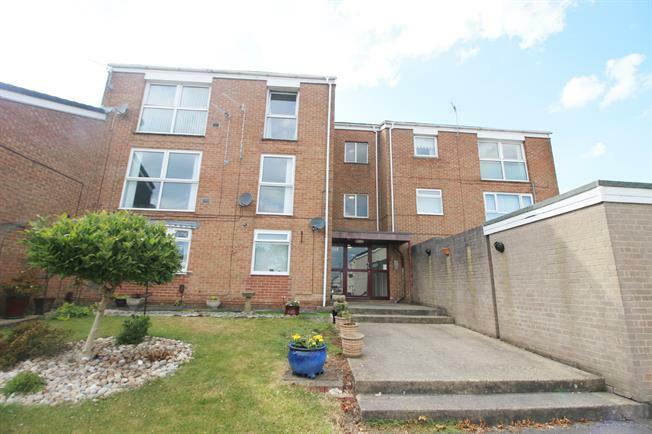 2 Bedroom Flat For Sale in Washington for Offers Over £65,000. Outstanding two bedroom flat available with no chain. Located in Donwell, Donvale Road sits in a fantastic area which has always been popular for first time buyers and families alike. Donwell sits close to local bus routes and major road networks. You have local shops and pubs right on your door step and have easy access to The Galleries shopping centre. Donvale road comprises of a secured communal entrance leading you to the first floor flat. The property offers two double bedrooms, modern shower room, spacious lounge and recently re fitted kitchen. This property would make the perfect starter home or investment. Front door Carpeted flooring, ceiling light. Double glazed uPVC window. Radiator and electric fire, vinyl and carpeted flooring, ceiling light. Wood work surface, fitted units, single sink, integrated oven, integrated, electric hob, overhead extractor, space for dishwasher, space for washing machine. Double glazed uPVC window. Heated towel rail, vinyl flooring, ceiling light. Wood work surface, fitted units, single sink, integrated oven, integrated, electric hob, overhead extractor, space for dishwasher, space for washing machine. Double glazed uPVC window. Radiator, carpeted flooring, sliding door wardrobe, ceiling light. Double glazed uPVC window. Heated towel rail, vinyl flooring, ceiling light. Low level WC, single enclosure shower, wash hand basin.